Philippe need to add an About section to his website as well as integrate Social Media sharing and the facility for his users to purchase his eBooks via PayPal. I got everything I wanted for my website project. Expertise in WordPress, timely respond to my requests and on time delivery of the site. I recommend her for your new WordPress project. Created an “About” section on the sidebar of Philippe’s website. Added Social Media icons and aligned them using CSS. 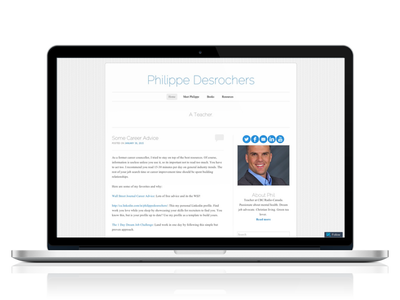 Integrated PayPal to allow readers to purchase Philippe’s ebooks.